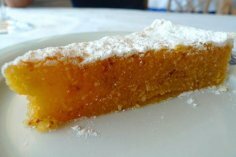 This moist and fluffy Portuguese orange cake (bolo húmido e fofo de laranja) is easy to make and tastes amazing. Preheat the oven to 170°C or 340°F . 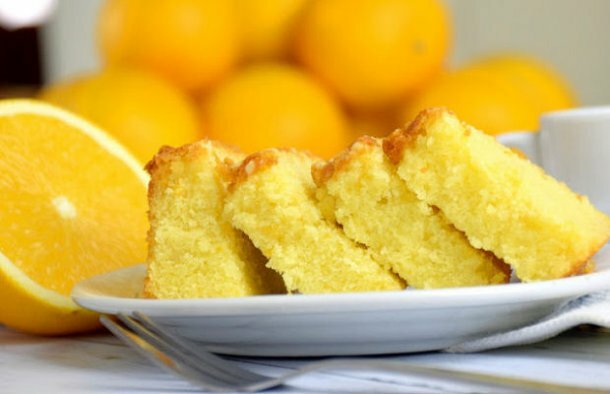 Grease a cake form with butter and sprinkle it with flour. Beat the butter with the sugar, add the eggs, flour, baking powder, the orange zest and orange juice and beat again very well. Pour the batter into the form and bake for about 40 minutes or until the cake is done. Beat the orange juice very well with 3 tablespoons of powdered sugar. Once you unmold unformed cake, pour this over the cake while it is still hot. Let the cake cool down completely and serve. How to make Portuguese almond cake. 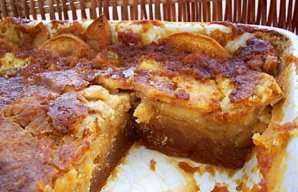 Bake this moist Portuguese apple and caramel cake with freshly chopped apples for your family and friends. 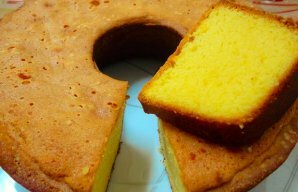 This Portuguese yellow cake recipe (receita de bolo amarelo) is very easy to make and delicious.